When you’re planting your garden, it’s nice to make some kind of markers so you know what you planted where. 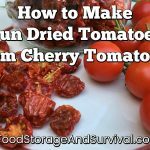 This is especially good if you are trying different varieties of the same vegetables. Some people like to put little sticks or papers stuck to sticks to mark their rows. I’ve found that at least for us, those get lost or washed out or moved by the little helpers or otherwise become only marginally useful. So I make a garden map. It’s like a treasure map, only it tells me what I planted in my garden, not the location of some hidden treasure worth millions (bummer). 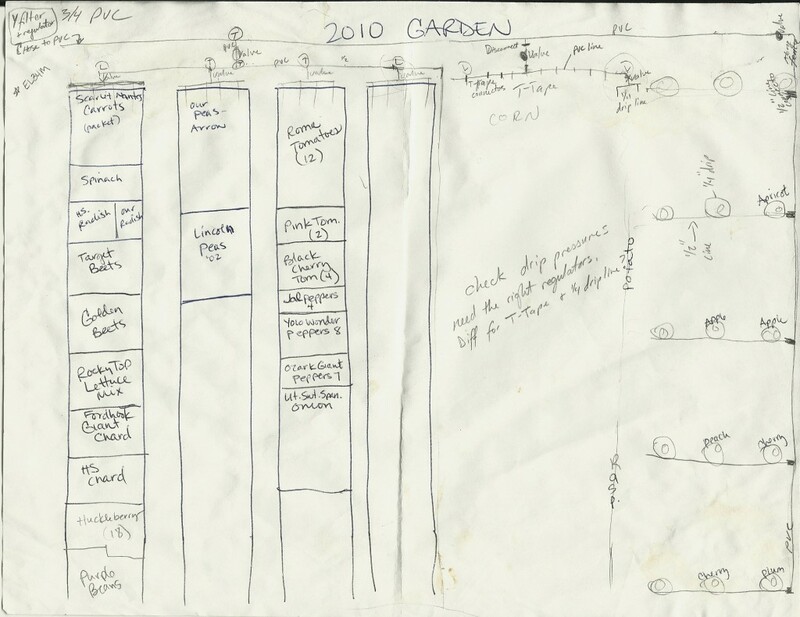 We plant in beds, so I just draw out the garden beds and write what got planted where with divider lines and sometimes notes on how many of each plant got planted. You could just as easily label rows on a map. Keep this map in a safe place–like your preparedness binder or a file for your garden. You’ll want to refer to it at harvest time and maybe before. Here is last year’s map. Okay, I did a marginal job of filling in everything that got planted–there were beans filling the bed behind the pea plants, and the squash section below the beds didn’t make it to the map, but that last bed actually was empty last year. 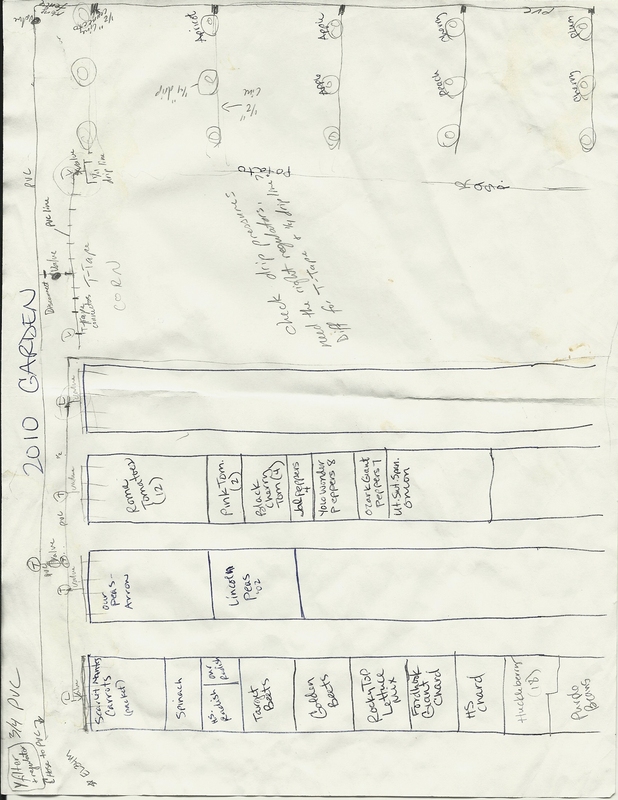 This map got swiped and sketched on for the drip water system plans, so it has a little more on it than the usual garden map, but that’s okay. Use your map however you need for your garden. You could make notes on it like when you planted each crop if you’re stagger planting, where you purchased the seed, etc. It has been a really handy way for me to keep track of which varieties of peas or corn or whatnot I liked best at the end of the growing season. Just don’t lose it! That happened one year and I had no idea which peppers where which when I was harvesting them. Turned out I didn’t like either variety, so it wasn’t too big a deal, but what if I did like one? Maybe when you’re done filling it in you could scan it to your computer. That way if you do lose it, you can just print yourself another map! Pirates only wish they had that kind of technology. Not the first sketch, but the permanent one. I use popsicle sticks and sharpie! !